Before the Rumble! | The Happy Wonderer ~ ellen b. Yesterday we had a sunny and windy start to the day. 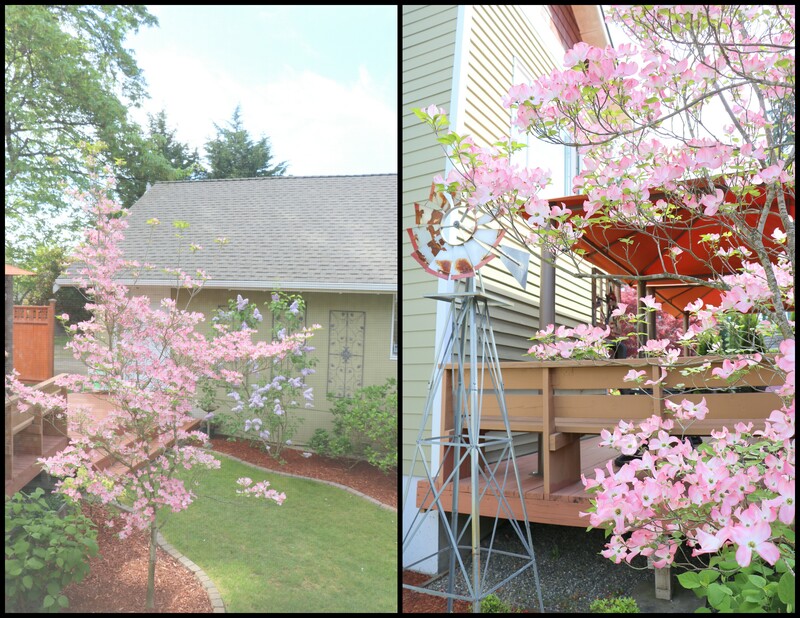 This is a view of our Pink Dogwood from the kitchen window and then from the yard. 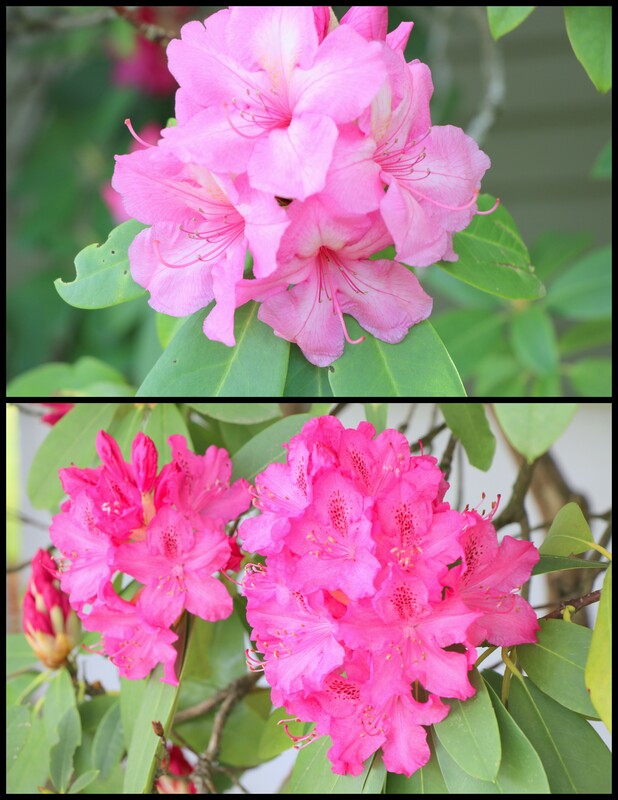 We have 4 mature Rhododendrons in our yard and they are getting to full bloom. Closeups of the lilac and dogwood blooms. 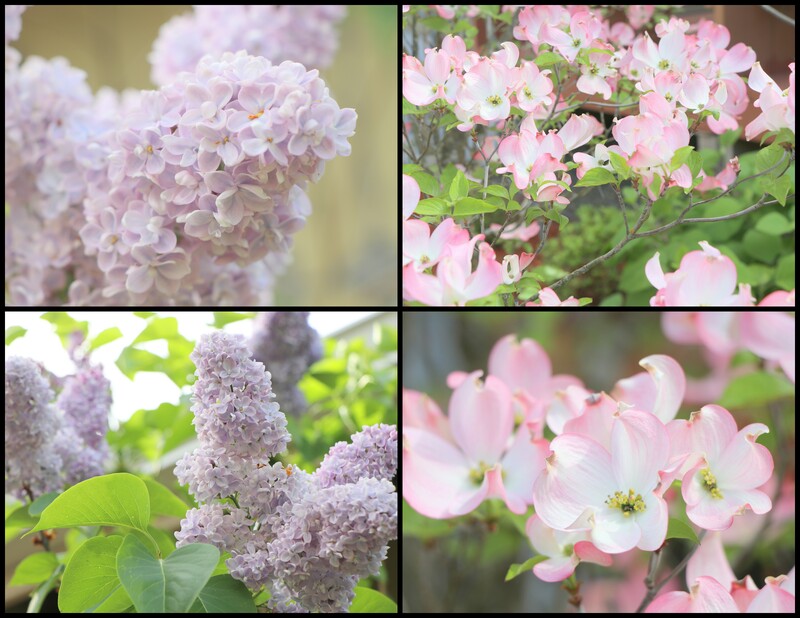 Those lilac blooms are filling our yard and deck with their fragrance. Of all these blooms they are the only ones with a strong fragrance. Blooms from two of our rhoddies. In the late afternoon the clouds got dark and grey and we had a loud thunderstorm that lasted for an hour. A lot of noise and a little rain. The winds continue today. In the meantime our house is still clean and organized waiting for that family who wants to buy our home. Posted on May 9, 2018 by Ellen •	This entry was posted in Flowering Plants, Flowers, Spring and tagged Lilac Bush, Lilacs, Pink Dogwood, Rhododendrons. Bookmark the permalink. What a beautiful collection of pink blooms! The photos of the blooms are gorgeous. I love the fragrance of lilacs. Your home will show very well with everything in bloom. All the best. …pretty pinks and I love your table. So glad you got to enjoy the wonderful flowering trees and bushes before you moved. Hopefully, someone will see this beautiful property ablaze with colour and give you an offer you can’t refuse. I’d buy a house with a pink dogwood. They are not easy to find. Your house looks well maintained, I’d say that would be it’s best feature for interested buyers. 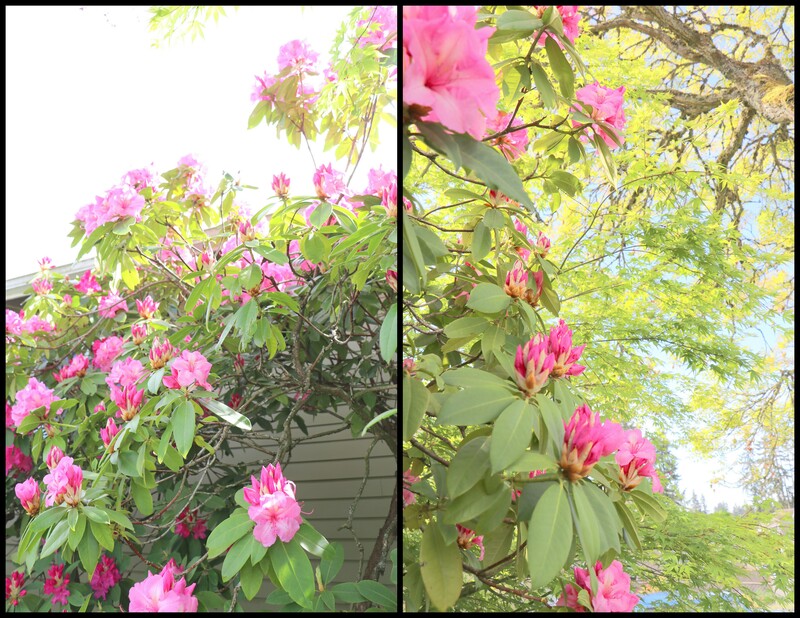 Seeing your property in the springtime with all of those lovely blooming things should attract buyers! It’s kind of hard to keep things “company ready” all the time, isn’t it? Oh Ellen, this is so spectacular … who could resist your house with all these blooms and fragrance??? And I thought you were going to tell us that the rain storm destroyed all the flowers …. whew. I like a happy ending. And your header is SO pretty. What was the event? Happy Mother’s Day to you, my friend!!! Angie, my header photo is from a photo op tea the Mennonite Girls Can Cook had in Canada 5 years ago in preparation for our second cookbook. We had the tea in the garden of one of the Mennonite Girls in Chilliwack, testing several of our recipes. “Celebrations” was published in May of 2013. This post was true pink perfection! Have a wonderful Mother’s Day weekend! Beautiful! The thing I loved most about a trip we took years ago from Michigan to Virginia in early May was getting to the point where the dogwoods started. They were everywhere! It’s a perfect time to sell your home with such beautiful blooms all around it. Happy Mother’s Day, Ellen!